[one_half last=”no” spacing=”yes” background_color=”” background_image=”” background_repeat=”no-repeat” background_position=”left top” border_size=”0px” border_color=”” border_style=”” padding=”” class=”” id=””] What is premature ovarian failure (POF)? When a woman’s ovaries stop working before age 40, she is said to have a premature ovarian failure (POF). Premature ovarian failure affects approximately 1% of women. Some women develop POF when they are teenagers. If that happens, the teen will never experience the normal function of her ovaries. 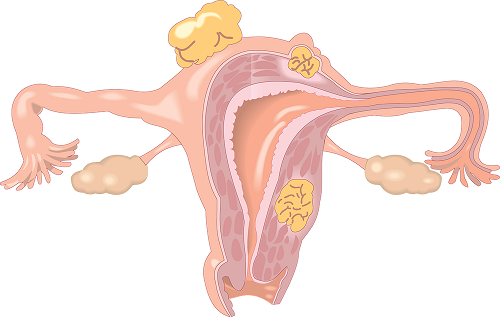 Ovarian function includes the production of eggs, as well as hormones such as estrogen. Unlike menopause, POF may come and go (be intermittent) in many women. For that reason, it may be more appropriately termed premature ovarian insufficiency. When should I suspect that I may have POF? Most women have symptoms that are normally associated with menopause. They include hot flushes, vaginal dryness, irritability, night sweats, or difficulty sleeping. Menstrual periods may be sporadic or stop completely. Some women may never begin having menstrual periods and may not go through the normal sequence of puberty. Other women may find out they have ovarian insufficiency when they have infertility tests done and may not have any symptoms. When symptoms are present, they usually result from low estrogen levels due to poorly or non-functioning ovaries. In many individuals, the cause is unknown. POF is more apparent in some families. POF may be associated with autoimmune disorders, including those affecting the thyroid and adrenal glands. Other causes of POF may be genetic (Turner syndrome and Fragile X syndrome). POF may be caused by radiation therapy and/or chemotherapy. Are there risks associated with POF that I should be aware of? In addition to the symptoms listed above, low estrogen levels also can make you more likely to develop osteoporosis and early heart disease. Women with POF may be more likely to develop depression. If Premature Ovarian Failure is caused by a genetic condition,[/one_half][one_half last=”yes” spacing=”yes” background_color=”” background_image=”” background_repeat=”no-repeat” background_position=”left top” border_size=”0px” border_color=”” border_style=”solid” padding=”” class=”” id=””] there may be potential long-term risks to you and your current or future children. Therefore, having a genetic consultation is advisable. Approximately 10% of women with POF will achieve pregnancy using their own eggs, with or without some assisted form of therapy, although overall fertility rates may be difficult to predict. How can I confirm whether I have POF? If you think you have POF, you should see a gynecologist specializing in reproductive endocrinology. POF can be diagnosed by hormone testing (follicle stimulating hormone and estrogen levels). These tests are often repeated a second time to confirm your diagnosis. Other blood tests such as a chromosomal analysis (test of your genetic composition) and Fragile X syndrome mutation (FMR1) may be done to check for genetic causes and for other disease associations. Bone density testing may also be appropriate. If you believe you may be at risk for developing POF in the future due to treatment with radiation and/or chemotherapy, talk to your doctor and to a reproductive endocrinologist before you start treatment to discuss options for fertility preservation. For non-reversible causes of Premature Ovarian Failure, no treatment exists to reverse the ovarian failure. For medically-induced causes of Premature Ovarian Failure such as radiation and chemotherapy, some ovarian function may return naturally over time. 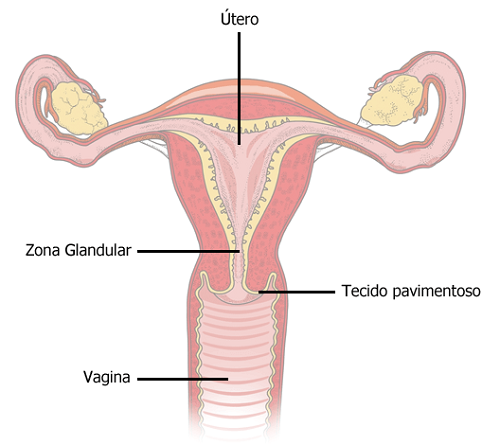 In some women, the ovarian function may be infrequent. Hormonal and non-hormonal therapy can be used to treat symptoms. Hormonal therapy consists of estrogen and progesterone. You should talk to a doctor about the best way to prevent osteoporosis and heart disease.